Last year in 24 ways I urged you to Get Expressive with Your Typography. I made the case for grabbing your readers’ attention by setting text at display sizes, that is to say big. You should consider very large text in the same way you might a hero image: a picture that creates an atmosphere and anchors your layout. When setting text to be read, it is best practice to choose body and subheading sizes from a pre-defined scale appropriate to the viewport dimensions. We set those sizes using rems, locking the text sizes together so they all scale according to the page default and your reader’s preferences. You can take the same approach with display text by choosing larger sizes from the same scale. However, display text, as defined by its purpose and relative size, is text to be seen first, and read second. In other words a picture of text. When it comes to pictures, you are likely to scale all scene-setting imagery - cover photos, hero images, and so on - relative to the viewport. Take the same approach with display text: lock the size and shape of the text to the screen or browser window. A problem with using vw in this manner is the difference in text block proportions between portrait and landscape devices. Because the font size is based on the viewport width, the text on a landscape display is far bigger than when rendered on the same device held in a portrait orientation. Landscape text is much bigger than portrait text when using vw units. The proportions of the display text relative to the screen are so dissimilar that each orientation has its own different character, losing the inconsistency and considered design you would want when designing to make an impression. However if the text was the same size in both orientations, the visual effect would be much more consistent. This where vmin comes into its own. Set the font size using vmin and the size is now set as a proportion of the smallest side of the viewport, giving you a far more consistent rendering. Landscape text is consistent with portrait text when using vmin units. The balance of display text to supporting text on the phone works well, but the subheading text on the tablet, even though it has been increased in line with the main heading, is starting to feel disproportionately large and a little clumsy. This problem becomes magnified on even bigger screens. Over this festive period, try experiment with the proportion of rem and vmin in your hybrid calculation to see what feels best for your particular setting. 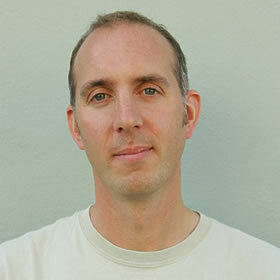 Richard Rutter is a user experience consultant and director of Clearleft. In 2009 he cofounded the webfont service, Fontdeck. He runs an ongoing project called The Elements of Typographic Style Applied to the Web, where he extols the virtues of good web typography. Richard occasionally blogs at Clagnut, where he writes about design, accessibility and web standards issues, as well as his passion for music and mountain biking. Jeffrey Zeldman steps back and takes a long hard look at the issue of cross-platform web font rendering quality. It can feel like Christmas morning with the array of font options available – but are we opening Pandora’s box?